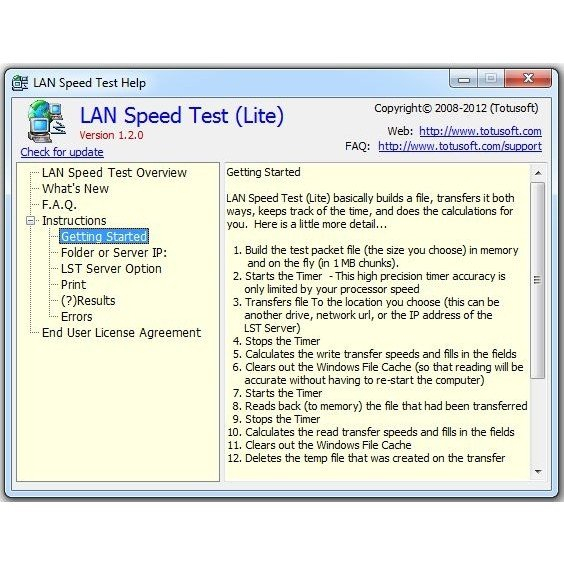 LAN Speed Test (Lite) is a FREE utility designed from the ground up to be a simple but powerful tool for measuring file transfer, hard drive, USB Drive, and Local Area Network (LAN) speeds (wired & wireless). It does this by building a file in memory, then transfers it both ways (without effects of windows file caching) while keeping track of the time, and then does the calculations for you. Simple concept and easy to use. 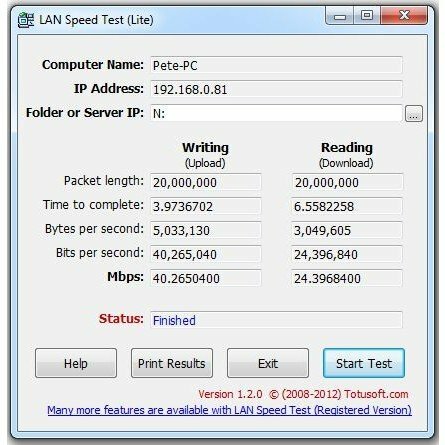 You’ll find that LAN Speed Test will quickly become one of your favorite network tools! Incredibly small (120KB Windows, 370KB Mac) and can run from a hard drive, USB Flash drives, etc. This version is completely free. No nag screens, time limitations, etc.